 The second World congress on Engineering Asset management (WCEAM) was held from 11-14 June 2007 at the Carin Hotel in Harrogate, United Kingdom. It was organized by COMADIT of The British Institute of Non-Destructive Testing (BINDT) in close co-operation and partnership with the Australian Cooperative Research Centre for Integrated Engineering Asset Management (CIEAM). The combined second WCEAM and fourth International Conference on Condition Monitoring was the largest event ever organized by BINDT on an international level. In total, there were over 300 forum delegates and accompanying persons, including 267 speakers and 14 exhibitors, representing 32 countries. World leading industrial companies were involved in the forum, including: Rolls-Royce, Airbus UK, Smiths Aerospace, RMS Reliability and RWE Power International from the UK; Caterpillar and Snell Infrared from the US; and Shell Global Solutions, Bruel and Kjaer Vibro and SKF from Europe.